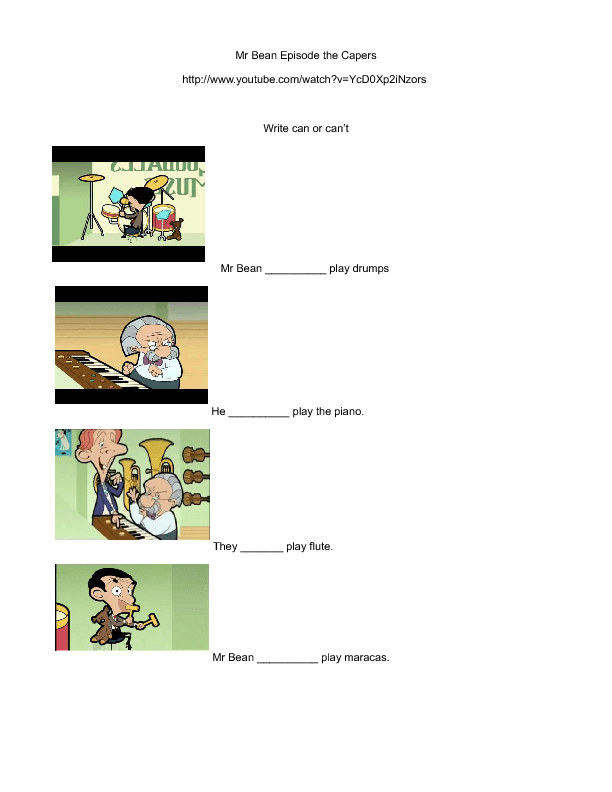 Mr Bean Capers is a video worksheet about uising the expression can or can't to talk about abilities. It is suitable for elementary students and specially for kids. 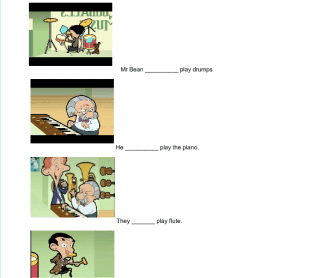 The video is very easy to understand and you can use it for talking about musical instruments and types of music.